A new play from the Abbey Theatre, directed by Conor McPherson, author of The Weir Billy and Breda haven't had a night out together in years. Tonight, Breda's lost the weight and gained a babysitter and a new outfit and is ready to sweep Billy off his feet down at Flanagans. But Billy has other plans - most of them involving Imelda Egan. 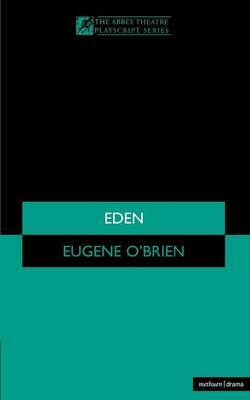 Eugene O'Brien's hilarious and heartbreaking two-hander is the portrait of good times gone bad for two people who have promised to be together forever.Eden premiered on the Peacock stage at the Abbey Theatre in February 2000.